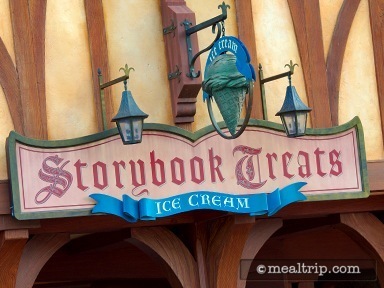 One of the more overlooked features of the Storybook Treats building, is it’s thick straw thatched roof. You’ll have to step back a bit to see it, because it’s quite tall. 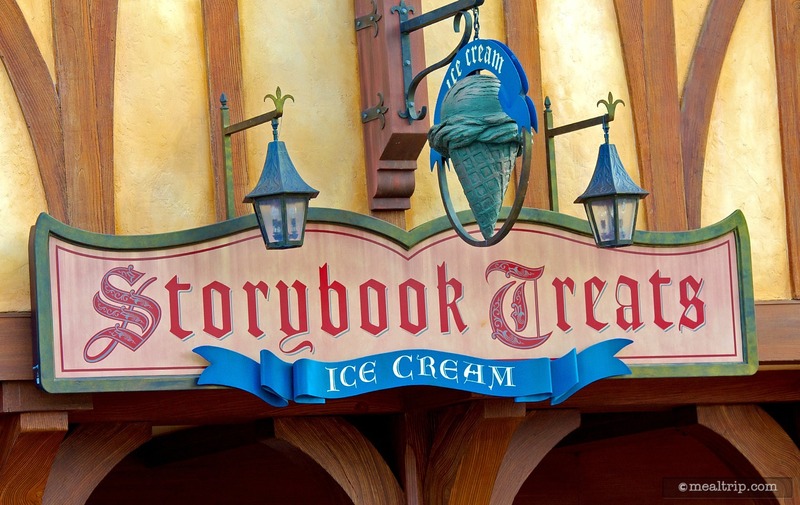 This quick service location offers a fudge brownie sundae, a hot fudge cookie sundae, and strawberry shortcake sundae. Soft-serve ice cream, cookies, milkshakes, floats, and hot and cold beverages are also available.